Where Are the Best Breweries in Murphys, CA? While California is unquestionably associated with its incredible wine, but the craft beer here is perhaps equally impressive. As of last year, more breweries were in operation here than in any other state, and a staggering 92 percent of residents lived within 10 miles of a brewery. Considering this level of specialization, you’ll want to be sure to check out some of the local breweries in Murphys, CA, when you visit. Looking to discover what else Murphys has to offer? Download our complimentary Vacation Guide for recommendations for local wineries, restaurants, and more! Choose from year-round or seasonal beers at Snowshoe Brewing Company. Year-round brews include the Apricot Wheat, Snoweizen, Thompson, Grizzly Brown, and an IPA. 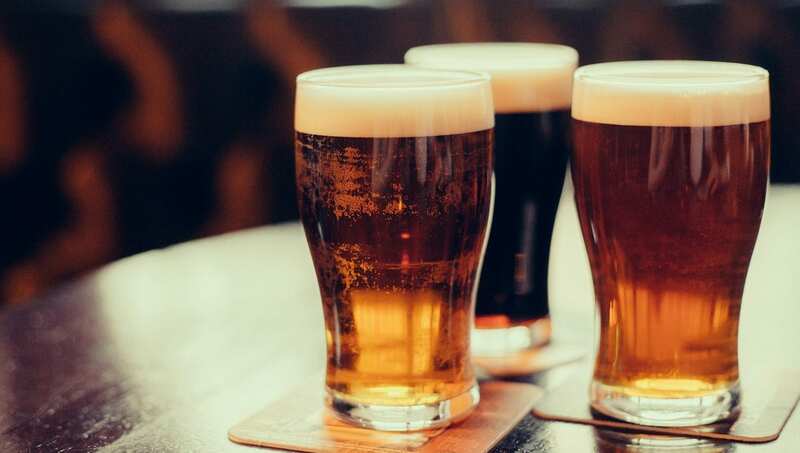 Seasonal offerings change, but whether you’re looking to cool down with a crisp ale or warm up with a smooth porter, you can rest assured it will be top-notch. Snowshoe beer is brewed onsite at their location in Arnold, CA. The food menu is extensive, covering everything you’d expect from pub fare like burgers and sandwiches to pizza and pasta. The atmosphere at Snowshoe Brewing Company is more like that of a welcoming, friendly pub than a noisy bar. If you’re still thirsty after visiting the Murphys Pourhouse or Snowshoe Brewing Company, several Murphys restaurants serve craft beer or have full bars. 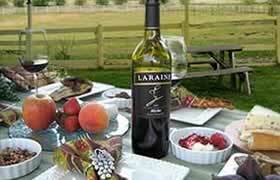 If you want to sample the other libation California is famous for, wine tastings are a great way to explore several different local varietals. You can participate in wine tastings at one of the many tasting rooms on Main Street in downtown Murphys, or you can visit the source by traveling to the vineyards that produce the wine. The vineyards here in California each offer a unique experience and a range of fine wines. If you decide you’d like to visit more than one, consider taking advantage of our Wine Tour Package! This package combines a stay at Courtwood Inn with a Courtwood Wine Tour. You’ll get 10% off the cost of a wine tour and enjoy wine and cheese in the afternoon after returning to the inn. We’ll even drive you to dinner in downtown Murphys and pick you up afterward, so you can enjoy as much wine as you want while still being safe. Close to Murphys but enveloped in privacy, Courtwood Inn is a hidden gem in California’s Gold Country. 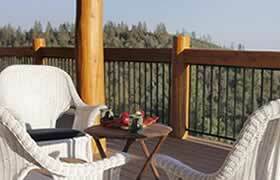 Our cedar log sits on a 5-acre hilltop that looks out to sweeping views of the San Joaquin Valley. You can relax at the inn or spend the day exploring Murphys or the great outdoors; the choice is yours! Courtwood Inn tastefully blends elegance with a passion for tennis. Our courts enjoy stunning views of the surrounding landscape, and you can even make your vacation a tennis getaway with one of our tennis packages! Additionally, each of our rooms is named and styled after major professional tennis competitions, and when the tournament is going on, the room named after it is 20% off. Enjoy luxurious amenities during your stay here, which include private bathrooms with soothing spa tubs, fine linens, a gourmet multi-course breakfast, and an all-day beverage bar and daily happy hour. You may not want to leave your room when you see the incredible sights from your balcony or patio, as each room has panoramic views of the valley and Sierra Foothills. This is but a sample of what Courtwood Inn has to offer. Browse our accommodations and book your stay in sunny California today!